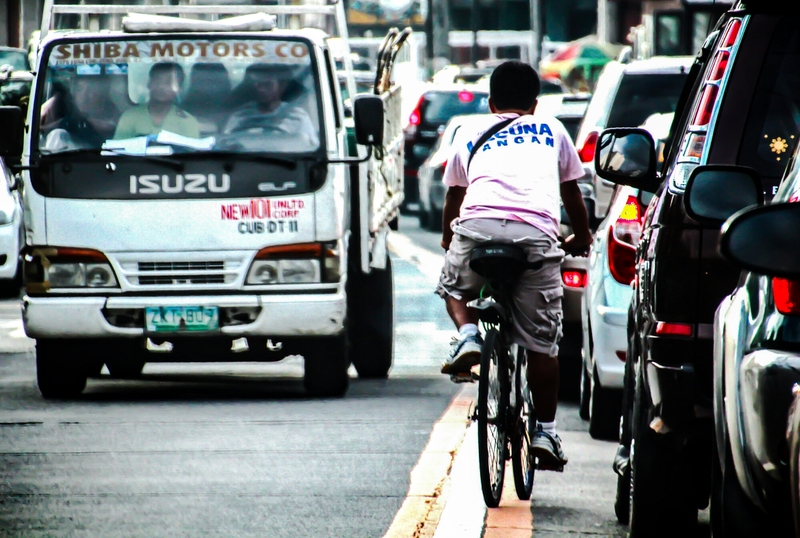 Metro Manila or the National Capital Region is the most populated region in the Philippines with more than a million cars plying the road almost every hour on business days, except from 10 in the evening till 5 in the morning. It is not unusual to spend an average of two to three hours just to travel 20 kilometers within the city. With such a blood-boiling traffic situation, fortunate are those, who have the stamina and tolerance to the heat and air pollution, that can breeze their way through traffic in a man-powered vehicle called the bicycle. Believe it or not, the bicycle, running at an average speed of 20kph, can outrun a motor vehicle stuck in traffic which can only move 5 to 10kph! Yup, it’s better to use the bike going to the office… As long as you wear a gas mask and take a shower upon reaching the office!